Is Facebook Making Us Narcissistic? Google searches for “narcissism” reached another 14 year high in February, 2017 (go figure), but obsession and worry about self-centeredness extend at least a century, and of course the Narcissus myth goes back millennia. A 1907 Atlantic cover story warned against “the worship of the brazen calf of the self,” a 1976 New York magazine cover story by Tom Wolfe decried “The Me Decade,” Christopher Lasch bemoaned The Culture of Narcissism in 1979, Twenge and Campbell brought social science to the question in 2009’s The Narcissism Epidemic, and Time’s Joel Stein wrote in 2013 of the “Me Me Me Generation.” While Twenge’s latest analysis in iGen reports that NPI (Narcissistic Personality Inventory) scores have fallen back to early 1990s levels among college students, it is clear that fears of narcissism are prominent in American culture. Two of the top five most popular articles recently on PsychologyToday.com dealt with narcissism, fairly typical for the site in the 7 years I’ve been blogging there. It may be an essential feature of our psyche as social animals to worry about whether we’re too self-centered, and to obsess about, fear and dislike those who are. Furthermore, America’s focus on individualism, competition, consumerism, materialism, extraversion and what Susan Cain called in Quiet the “culture of personality” as opposed to the culture of character, also may amplify narcissistic tendencies and concerns. But is Facebook changing the dynamic? Is narcissism more acceptable online, and therefore subtly encouraging our own narcissism? Some point to a causal link, but studies show that our online environments are more populated by narcissists and their posts. Of course, we can all point to ways we find community and connection to a bigger picture online. But these twin possibilities, of self-centeredness and community, are always vying for attention in social media, gravitational poles of our souls’ possibilities. 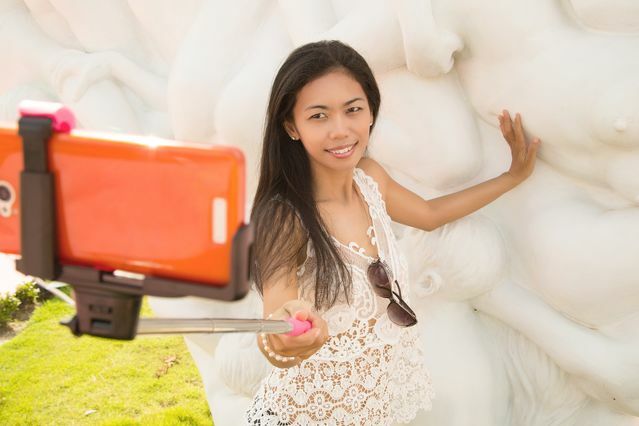 Does social media attract narcissists, or is it making all of us more narcissistic? Are we the frogs in the social media pot, unwittingly being brought to a narcissistic boil? A 2017 meta-analysis of 25,631 participants from 16 countries (half from the U.S.) showed a significant correlation between grandiose narcissism and the number of Facebook friends, intensity of Facebook usage, and uploading photos.⁠1 (Grandiose narcissists have a high opinion of themselves and believe others should admire them. This is in contrast to vulnerable narcissists, who while having a high opinion of themselves, are also insecure, defensive, resentful and likely to become aggressive when they feel shamed or insulted.) In countries with large “power-distances” (more hierarchical societies), which discouraged narcissistic display in public, social networking sites seemed to unmask narcissism. There, grandiose narcissists were more attracted to and active on social media. Social media is an irresistible magnet for the grandiose narcissist’s exaggerated sense of self and need for admiration. We are inordinately exposed to narcissists online, because narcissists have more friends. And as we’ve seen, they tend to post more as well. So while narcissistic traits or the full-blown disorder might be present in only a few percent of the population, we encounter many times that share in our news-, Twitter-, or Instagram-feeds. Facebook’s algorithms may skew that even further, as the rich (those most popular and able to garner more attention) may get richer. The online environment is skewed towards narcissism. Social media can thus be the narcissist’s wheelhouse, and once we’re in the wheelhouse, we may all be nudged towards narcissism and self-promotion, nudged towards the wild wheeeeee! of me. Alternatively, non-narcissistically inclined individuals might find themselves dissatisfied in the narcissist’s garden. There is some evidence that this is the case. The more time we spend on Facebook, the more dissatisfied we are with our friends,⁠8 and the more depressive symptoms⁠9 we have, probably because of social comparison. (See Nov/Dec 2017’s Psychology Today cover story, The Comparison Trap.) People who use Facebook passively (and thus less like a narcissist) tend to become dissatisfied. If you feel ambivalent or negative about Facebook and other social media, you’re probably not a grandiose narcissist. Not to say, of course, that if you’re satisfied with your social media experience, you are narcissistic. You may have just found a sweet spot that I never found. The medium is the message. Narcissism, as an overvaluing of self and devaluation of others, is reflected in the way we get attached to our opinions online. We are quick to anger on Twitter, and slow to compassion. When we limit our interactions to text and image display, we subtract all the depth of IRL relating, a depth that naturally defuses and dissolves narcissism and attachment to self and opinion, over time. Success online is akin to becoming a celebrity or being victorious for a moment. The dopamine rush of likes fuels our future display. Narcissism is defined by grandiosity masking an inner emptiness. Our online display aims at the grandiose; emptiness results if we remove ourselves from real world relationships. All the world’s religions are essentially aimed at transcending self-centeredness. Social media, on the other hand, can be seen as a Temple of the Self. It’s high time we stop fueling narcissism with our time online, and cultivate relationship and compassion, for a better world. Adapted from my new book Facebuddha: Transcendence in the Age of Social Networks.